Arnaud Sussmann won a 2009 Avery Fisher Career Grant and has appeared with the American Symphony Orchestra, Stamford Symphony, Chattanooga Symphony, Minnesota Sinfonia, Lexington Philharmonic, Jerusalem Symphony and France’s Nice Orchestra. Born in Strasbourg, France, he trained at the Conservatoire de Paris and the Juilliard School with Boris Garlitsky and Itzhak Perlman. Winner of several international competitions, including the Andrea Postacchini of Italy and Vatelot/Rampal of France, he was named a Starling Fellow in 2006, an honor which allowed him to be Mr. Perlman’s teaching assistant for two years. Perlman, Menahem Pressler, Gary Hoffman, Shmuel Ashkenazi, Wu Han, David Finckel, Jan Vogler and members of the Emerson String Quartet, and worked with conductors such as Robert Moody, Anu Tali, Peter Bay and Leon Botstein. He has also been a member of the Chamber Music Society of Lincoln Center since 2006 and has regularly appeared with them in New York and on tour. His concerto appearances have included a tour of Israel and concerts at Lincoln Center’s Alice Tully Hall, Dresden Music Festival in Germany and at the Phillips Collection in Washington, D.C. He has also given concerts at the OK Mozart, Mainly Mozart and Moritzburg festivals and he regularly appears at the Caramoor, Music@Menlo, La Jolla SummerFest, Seattle Chamber Music, Moab Music and Bridgehampton Chamber Music festivals. Sussmann has released albums on Deutsche Grammophon’s DG Concert Series, Naxos, Albany Records and CMS Studio Recordings labels. His solo debut recording, featuring three Brahms Violin Sonatas with pianist Orion Weiss, was released in December 2014 on the Telos Music Label. 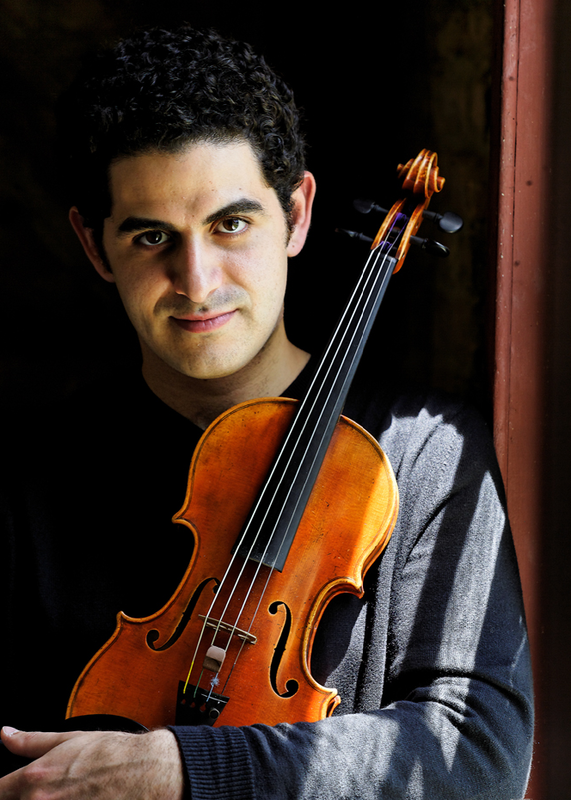 He has been featured on PBS’ Live from Lincoln Center broadcasts alongside Itzhak Perlman and the Perlman Music Program and with musicians of the Chamber Music Society of Lincoln Center. Stay Thirsty Magazine is pleased to highlight the outstanding talent of Arnaud Sussmann, a violinist with a very bright future and definitely a violinist to know.